The arcade hath returned, but this time they’ve brought booze. 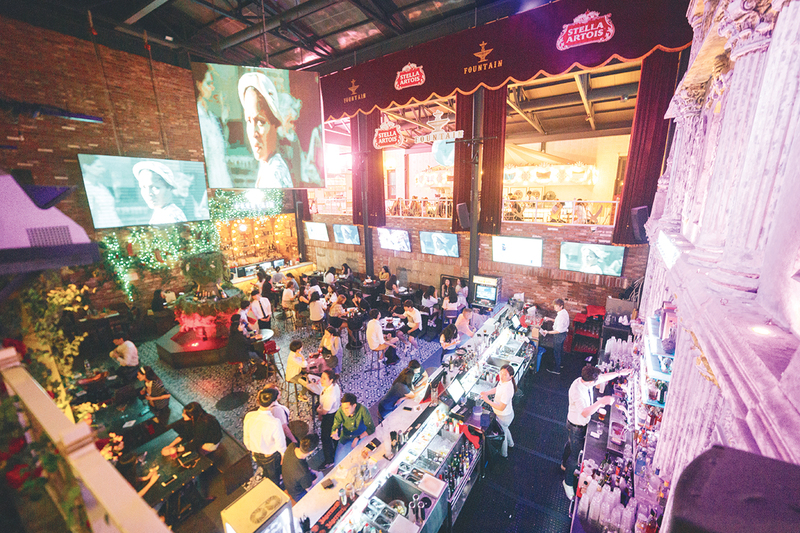 While gaming bars have proved popular over the last decade abroad, they have only just begun to find their way to Seoul. 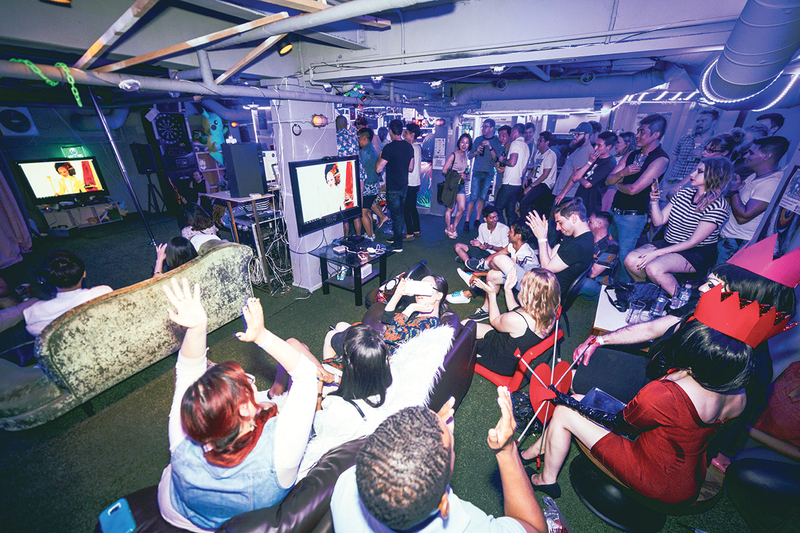 In the land of televised eSports, PC bangs, and stadium-filling MOBA tournaments, these venues offer a fresh, fun spin on the social gaming space. Freshly opened this past July, RetroGameBar wears its passion on its sleeve. Situated amidst the clubs of Hongdae, the very act of entering feels like stepping into a digital realm. Light up Tetris tiles illuminate the counter, while retro Mario blocks hang overhead. Grim Fandango’s Manny proudly guards the smoking room. A trophy case of consoles displays rare relics of the past. Half the fun of this place is discovering all of its little details for yourself. Rasberry Pi consoles packed with old school classics are set up by the window, offering a way to simultaneously play and observe the streets below. Two enclosed booths offer opportunities for more intimate multiplayer sessions, while a myriad of other screens and cabinets mean you’ll never wait long to play. Game-wise, they’ve got just about everything you’d want. If they don’t, they’ll be getting it in soon. 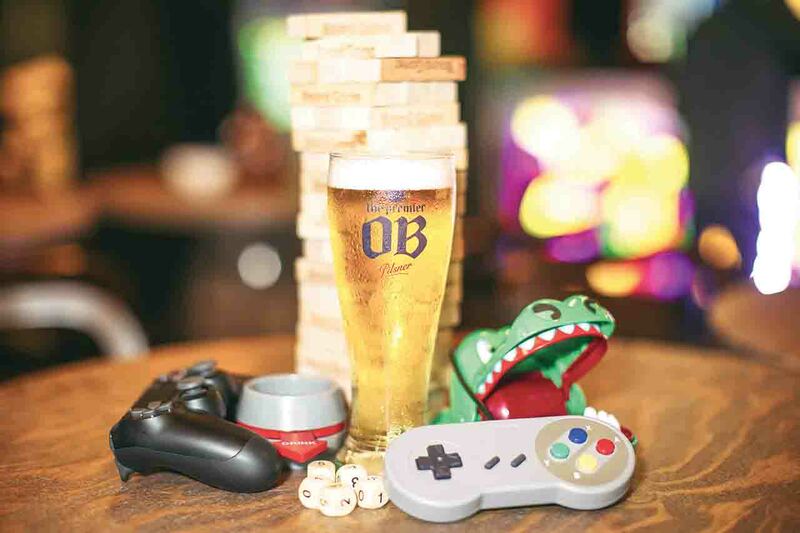 The first of all the barcades to open their doors in Seoul, the Rabbithole can be found halfway up the main drag into expat haven Haebangchon. The interior looks like an eclectic mix of a park and your best friend’s basement, with much of the venue’s decorations being contributed by patrons themselves. Between the comfy couches and their towering Totoro beanbag, it’s all too easy to let “just one more game” turn into an entire night. Two arcade cabinets come preloaded with over 500 games apiece with options for both Korean and English languages available. Consoles from the NES to PS4 are there to be played on whim, with wallets packed full of titles never too far from reach. The Rabbithole also prides itself on being LGBTQ-safe venue. Each Saturday heralds a live drag show, with all proceeds raised from the event going directly to the performers. 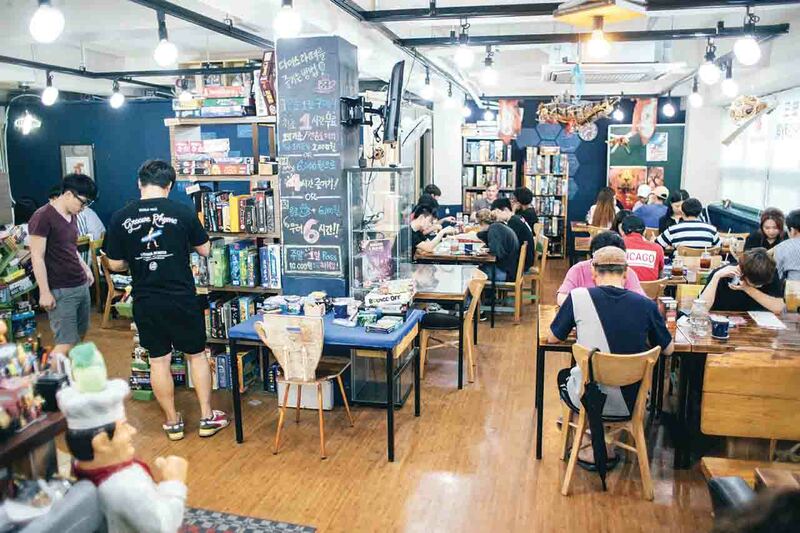 Although not actually a barcade, the Dice Latte deserves a mention for one important reason: it is widely regarded as the best tabletop game café in Seoul. It’s not difficult to see why. Their game selection is second to none, with a carefully cultivated collection that grows larger every week. Impressively, the staff somehow seem to know the rules for all of them and are more than happy to help you out should you find yourself confused. A separate room is set up for those who fancy figure painting, with rentable lockers available to store materials on location. A variety of events and tournaments take place on a regular basis, drawing in enthusiasts seven days a week. 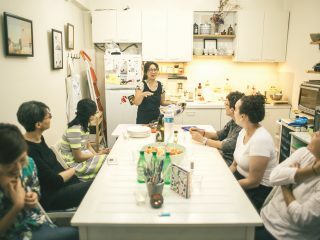 Coffee, cakes and craft beer round out the cosy café vibe, making this one well worth the trip to Heogi if you feel the need to roll some dice. 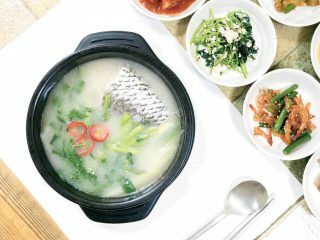 16-5, Itaewon-ro 23-gil, Yongsan-gu | 02-794-4655 | 6 p.m. – 3 a.m. Located on the pedestrian street behind Itaewon’s Hamilton Hotel, Fountain is hard to miss. The entrance has been decked out like a European courtyard, with the aesthetic only amplifying once you get inside. Decorated dangerously close to decadence, the large central space is surrounded by smaller, self-contained sections that all offer their own distinctive vibe. One of these is the gaming lounge, which you can find on the venue’s second story. There are a total of ten arcade cabinets available, each equipped with a wealth of retro titles to choose from. All are free to play as long as you buy yourself a drink. Thankfully, the cocktails are well made and respectably priced.